Item # 310692 Stash Points: 2,495 (?) This is the number of points you get in The Zumiez Stash for purchasing this item. Stash points are redeemable for exclusive rewards only available to Zumiez Stash members. To redeem your points check out the rewards catalog on thestash.zumiez.com. Get ready for some sun or the gym in the Obey Briar Heather Grey Tank Top. 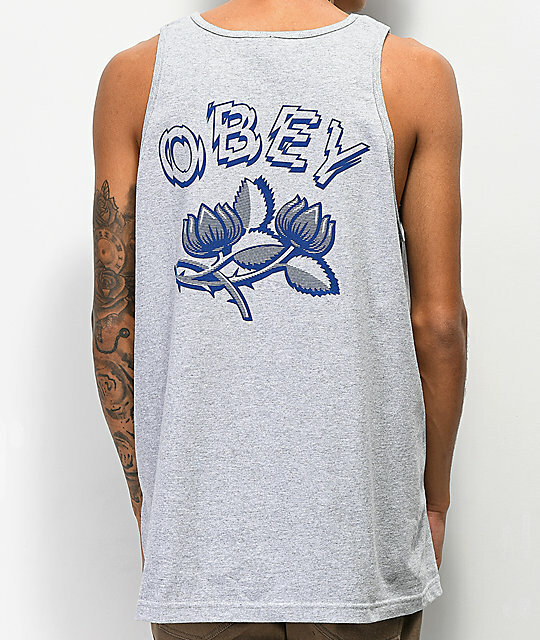 This 100% cotton, long fit tank features Obey text logo detailing on the left chest and back in contrasting navy. 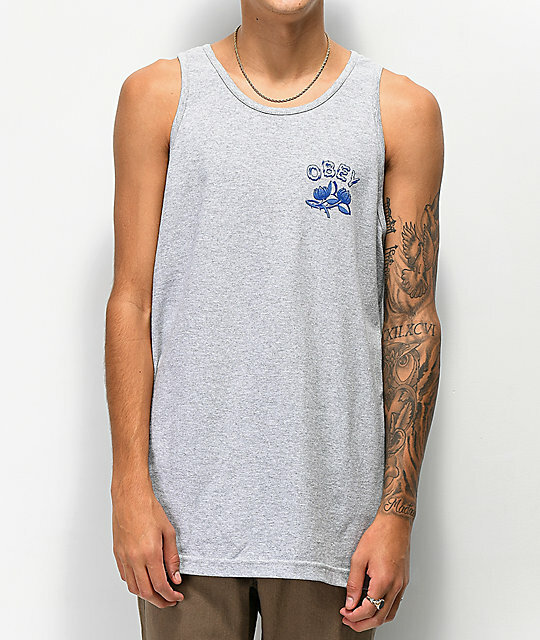 Briar Heather Grey Tank Top from Obey. 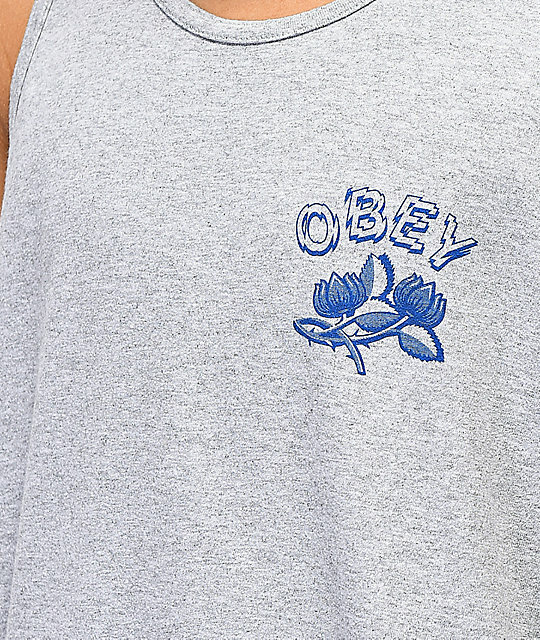 Obey graphic logo screen printed on front left and on back in navy.